Without a meta-description, Google will have trouble properly listing your site. That is the reason why all our templates come with a default meta-description on their homepage. That being said, we strongly encourage you to personalize it, to fit with your own activity by going into the SEO settings. 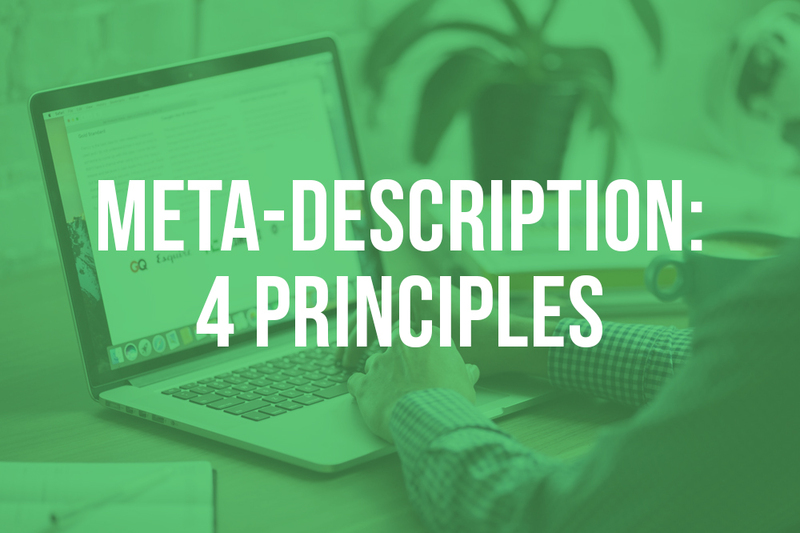 Like any text in your site, the meta-description gives you the opportunity to reinforce the core ideas of your site and to plug in your keywords. In addition to the homepage, you can add meta-descriptions on each page, as well as on each blog article: a great way to list all your different services or products, right in the search results, like in the example below. 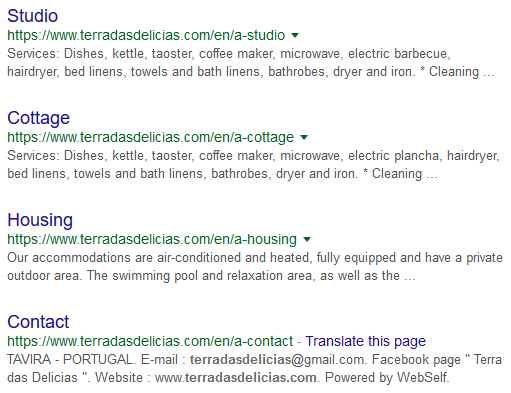 SEO hack: Re-using the same description on each page is penalized by Google. However, if you do not add one, Google will simply pluck one out from the texts on that page. Indeed, if you’re a little short on time, it can be more advantageous to only add a description on your homepage. You have to boil down your site to its core ideas: what do you (personally and uniquely) offer to your visitors, and how does it benefit them? It can be about a rare product, in-depth blog posts, or even simply years and years of expertise. Whatever it is, bring it into clear and immediate focus. SEO hack: While it’s not advisable to write your whole description this way, you can cherry-pick a couple of words to capitalize. Do not hesitate to add some more blank spaces to balance the text out. Up to 160 characters is recommended, but it’s no hard limit: if you go over, Google will simply use an ellipsis in its list of search results. It’s even been proven that this creates a ¨air of mystery¨ and people are more likely to visit the site as a result. Still, 160 displayed characters, that’s barely more than a classic Tweet. Better cut to the chase. SEO hack: a telegraphic style can shave a few characters here and there. In the exemple above, the subject of the questions are implied. That way, it’s easier to isolate the relevant words. Try avoiding the passive voice; on the contrary, use dynamic verbs in the imperative mood: you’ll turn your description into a “call to action” phase. Last, but not least, an exclamation mark is another classic, to end on a high note. SEO hack: In the example below, the site creator has found a way to not only insert a “call to action”, but also to reinforce it with upper-case letters. Still a little stumped? Then, start with a simple description, with no bell or whistle: after all, your description must evolve with your site. And, thanks to WebSelf, it’s easy to go in and change it as inspiration strikes!